The Maryland Transportation Authority is planning to remind drivers that if they pay their E-ZPass bill with third-party bill-payment sites, such payments may take several days or longer to actually post to their accounts -- and that can mean late fees. WASHINGTON – Heeding a warning about paying E-ZPass bills through independent online bill payment sites could help drivers avoid late fees. Through its website, the Maryland Transportation Authority is planning to remind drivers with Maryland E-ZPass accounts to be sure that they understand how third-party bill payment sites such as Doxo work, since payments submitted to such sites may take several days or longer to actually post to their accounts. 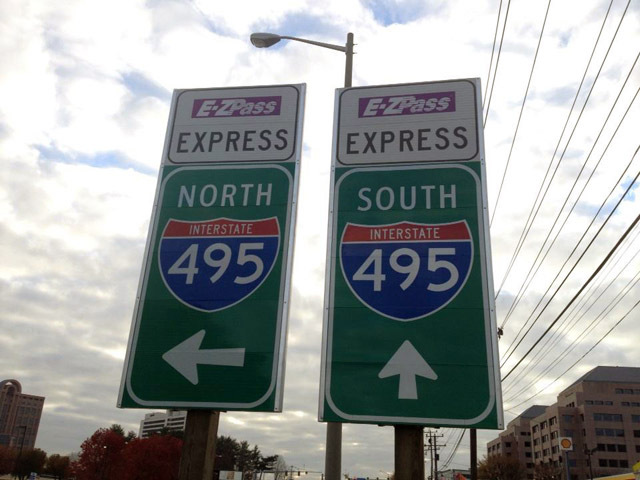 Kelly Melhem, the state transportation authority’s deputy director, said at least one customer has contacted E-ZPass Maryland about a payment made through Doxo that took a long time to post. About 2,300 Doxo users have E-ZPass Maryland included on their list of bills being paid through the site, according to Roger Parks, the company’s co-founder and vice president of business development. Maryland’s E-ZPass system requires that drivers pay with a credit card that gets automatically charged when the account balance drops below $10; pay by cash or mailed check; or make a payment at a service center. But using Doxo or a banking site may mean having to send certain payments several days or more in advance of a bill’s actual due date or the date when the money is needed in order to avoid late fees and other issues. Any time you pay bills with an online bill payment system facilitated by a bank, or any third-party payment system, rather than directly through the entity that is getting the money — in this case, Maryland Transit Authority — there can be a delay between the time the payment is initiated to the time it goes through, if the bill payment system does not have a direct connection to the entity that is being paid. Parks said there may have been only a couple of customers who had issues, possibly, after scanning past the confirmation screen for when their payment would be delivered. He said the payment site allows people to pay online and track their bills in a way they could not through the state, even if it may end up with his company mailing a paper check. Last week, the Oklahoma Turnpike Authority issued an alert saying that service or processing fees from independent bill payment sites such as Doxo were not associated with the agency.